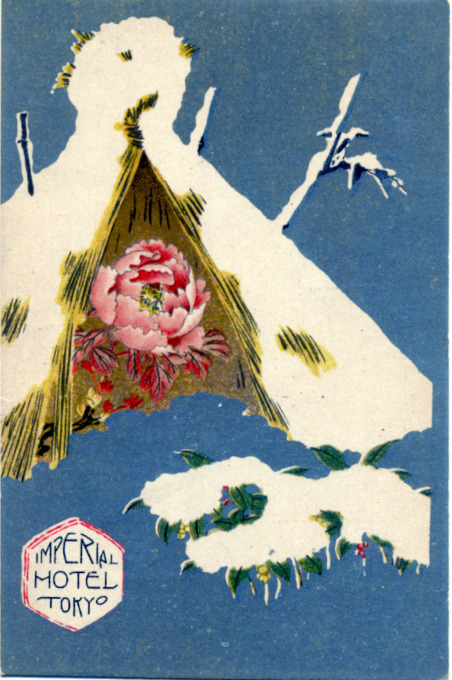 Imperial Hotel, surrounded by a Kyokujitsu-ki [Imperial war flag] motif, c. 1905. 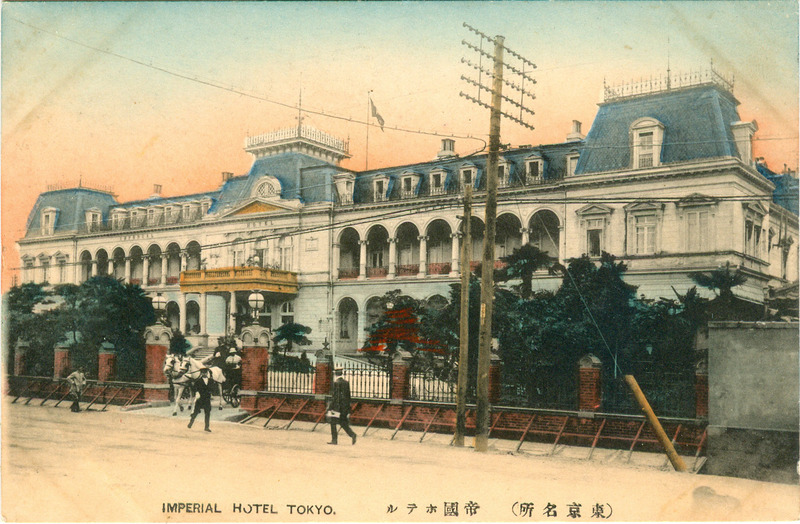 The first Tokyo hotel to be given the name Teikoku Hoteru [Imperial Hotel] opened for business in 1890 around the corner from the Rokumeikan near the Hibiya army marching grounds (which, from 1903 onward, would become Hibiya Park). “It is interesting to hear the eulogies now passed by tourists on the Imperial Hotel in Tokyo. 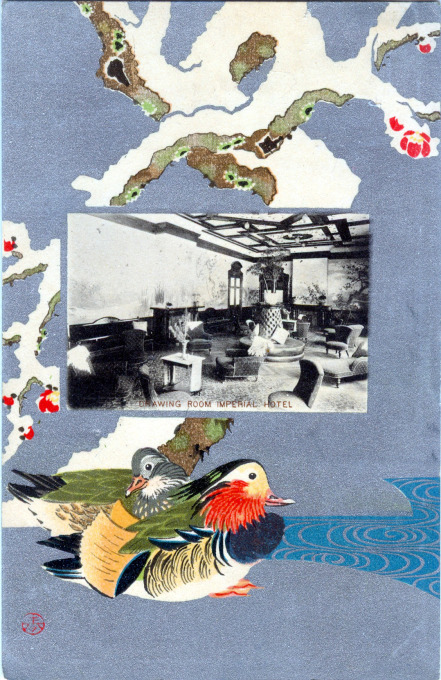 “There is unanimous testimony that no better hotel is to be found eastward of Suez, for not only have the food and attendance as well as the warming of the building improved immensely but also there is a general atmosphere of competent organization, and the servants have been drilled to discharge all the duties of attention which make just the difference between excellence and mediocrity. 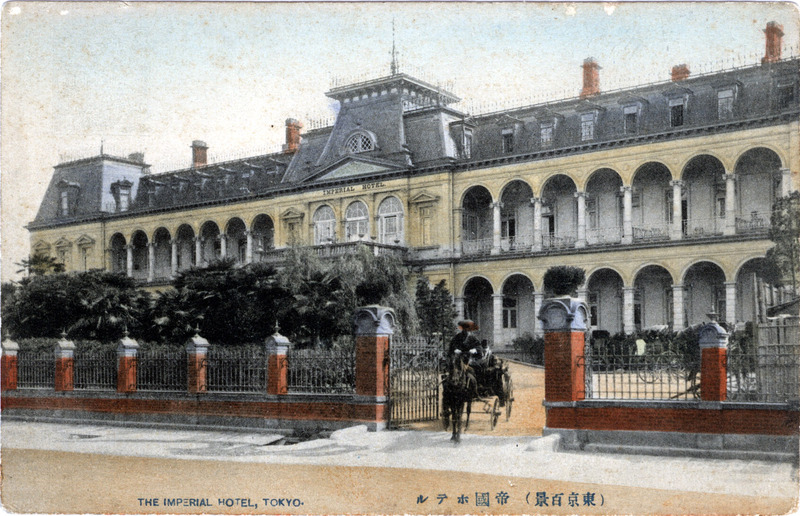 Imperial Hotel (1890), side view, c. 1905. Imperial Hotel (1890), front view, c. 1910. “In 1887, three Japanese noblemen, Marquis Inouye, Viscount Shibusawa and Baron Okura, all close to the Imperial Family decided that Japan’s capital city should have a hotel suitable for Westerners, for until that time there had been nothing but unheated Japanese inns, where every guest sat on the floor, slept on the floor and invariably had his meals brought by a maid-servant to his low table on the floor. No such thing as running water had been thought of, nor had a hotel dining room or restaurant been imaginable, but this was a period of the Meiji Restoration when Japan’s more progressive leaders were becoming fascinated by Western ways. 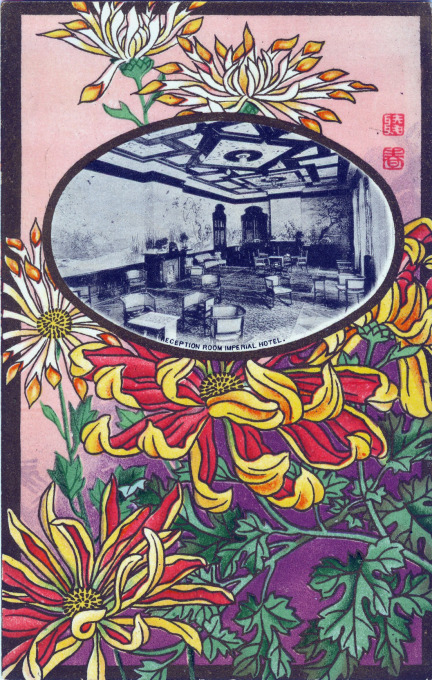 “A long-term lease of land was secured in the heart of the city and the three pioneers raised the money for a three-story wooden hotel, the Imperial Household being the chief shareholder and itself investing heavily. 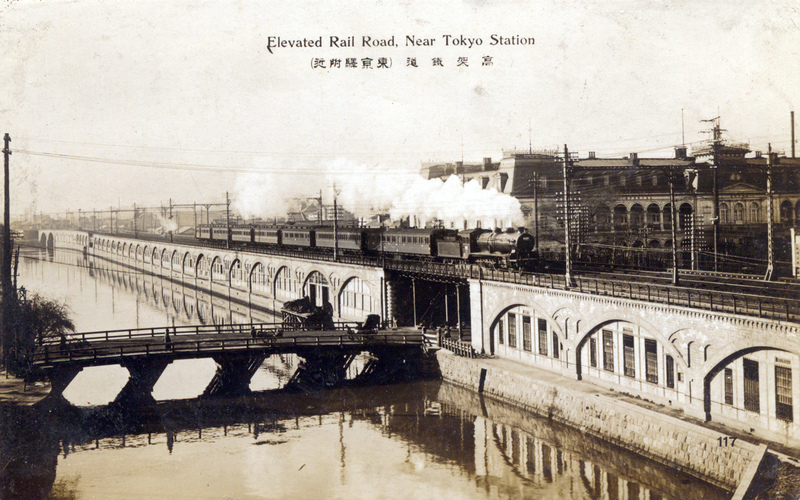 A C51 locomotive pulling Tokaido Main Line carriages past the Imperial Hotel (right), at Yamashitacho-bashi, on arrival into Tokyo, c. 1920. From the wiki: “The original Imperial Hotel opened in November 1890 on the Northeast corner of what is now the hotel property. The hotel faced roughly North, with parts of the Imperial Palace moats (no longer extant) across streets on the North and East sides of the building. “The hotel was backed by key Japanese leaders, such as Foreign Minister Count Inoue Kaoru and Viscount Shibusawa Eiichi. 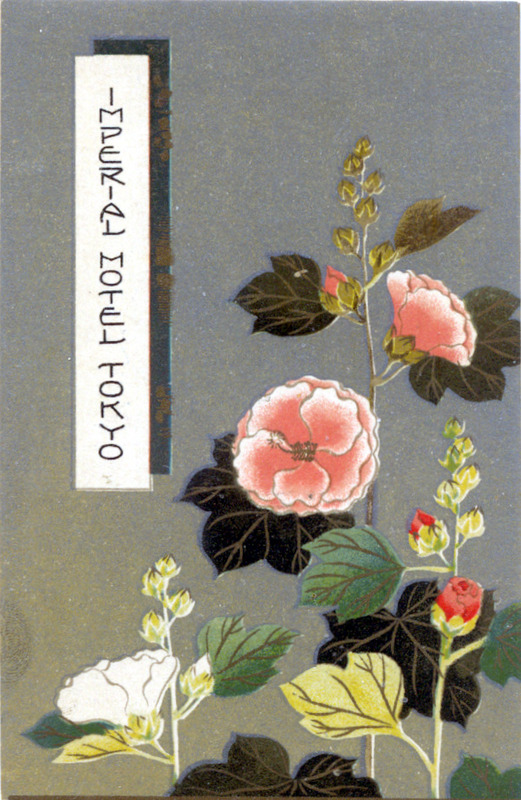 Shibusawa and Okura Kihachiro submitted an application to form the Tokyo Hotel Co. on November 28, 1887, in order to ‘build a large hotel in Tokyo and to conduct the business of renting rooms to foreign guests, and for parties and other events …’ There were initially 21 investors, with the largest (21.15%) being the Imperial Household Ministry. Site preparation for the hotel started in July 1888, and construction began in the fall of that year. 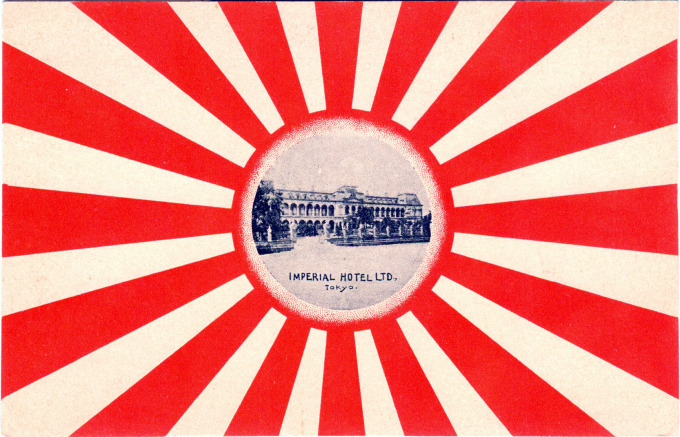 On 7 July 1890 the name was changed to Imperial Hotel Ltd. The hotel was opened in November 1890. “The initial drawings for the hotel were created by Heinrich Mänz, in the German neo-Renaissance style … Eventually, Yuzuru Watanabe – a student of English architect Joshiah Conder, who had earlier designed the similarly-designed Rokumeikan – would be picked to design the 60-room hotel, which would also be known as ‘Watanabe House’. Watanabe used the original layout by Mänz, but because of soil conditions, changed the four-story stone structure to a three-story wood frame and brick structure, with the exterior painted to look like stone. He also added rooms under the eaves to accommodate more guests. Western (French) food had been the official banquet fare of the Imperial Palace (ever since Emperor Meiji hosted a luncheon for the nephew of the King of Italy in 1873) and the Imperial Hotel followed that tradition. 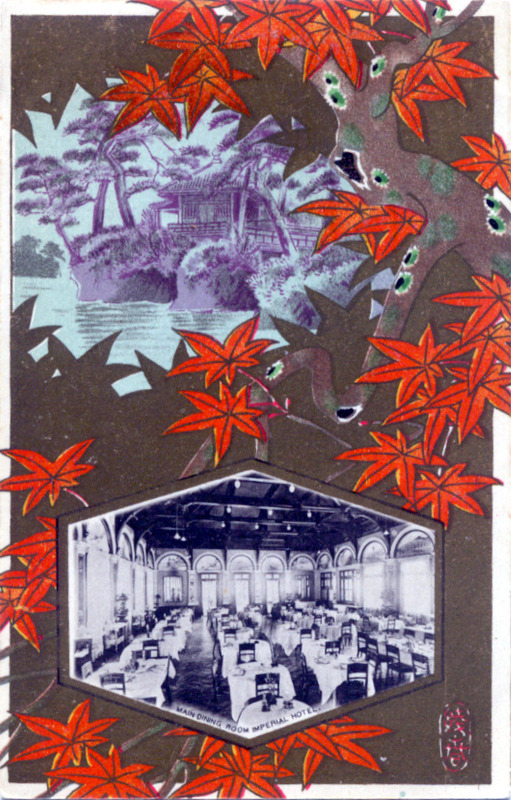 Imperial Hotel, Reception Room, c. 1910. Imperial Hotel, Drawing Room, c. 1910. “Business was slow at first, and the hotel lost money. 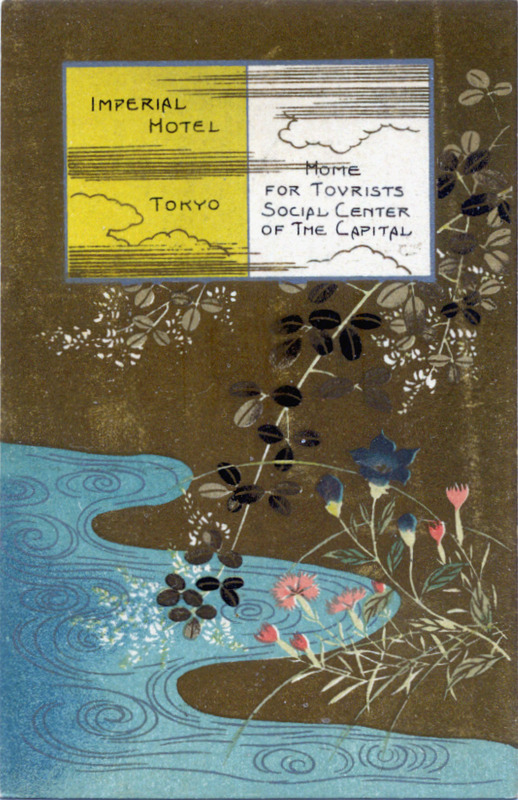 Even after the U.S. annexed the Philippines in 1902, after the Spanish–American and the Philippine–American wars, bringing more travelers through Japan, the hotel only averaged 40 guests and 50 restaurant customers. 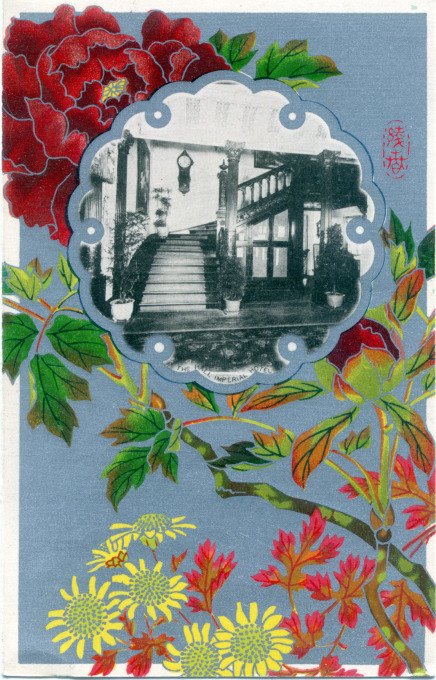 It was not until the start of the Russo-Japanese War in 1904 that the hotel was regularly filled to capacity. In 1906 a 42-room annex was built and the Hotel Metropole in Tsukiji was purchased to increase capacity, allowing the hotel to serve up to 150 resident guests and seat up to 200 for dinner and banquets. 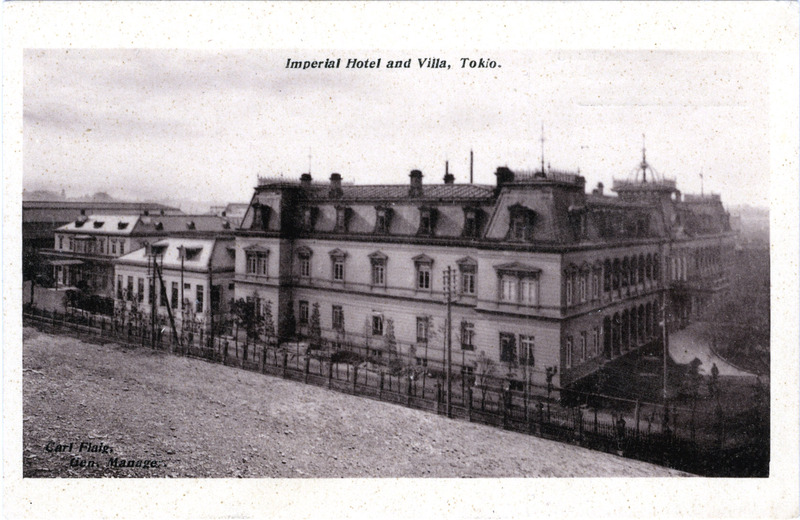 Imperial Hotel, “The Hall”, c. 1910. Imperial Hotel, Dining Room, c. 1910.